I started investing in 1995, being talked into it by a friend. Having bought a bank issued fund – ETF’s didn’t exist back then – I watched it go up day after day. With increasing value came increasing interest and I decided to actually read its prospectus, only to discover that buying the individual parts would have made me even more money. And alas I got involved in buying individual stocks. Little did I know that during the second half of the nineties you could buy nearly anything and it would show you a profit as soon as the very next day. In hindsight I got lured in by one of the biggest market bubbles in modern times. Today it makes sense to me that each bubble naturally correlates with the arrival of a ton load of people new to investing. But then and there, I was just one of the lemmings. Having, or better yet having watched how, slightly less than €30.000 turned into a whopping amount of nearly €425.000 in less than six years, I went from boom to bust by losing it all again (and more). Once the card house came tumbling down, the whole of the terrifying event took less than a month and left me with a devastating loss. I also lost my house and was taken to the cleaners for an additional €175.000 I didn’t have. Rest assured getting taught a lesson shy of €600.000 is a very humbling experience where one definitely starts to ask questions. First I sunk into a deep depression, but eventually I got back up on my feet and started wondering what went wrong and, more importantly, what I did wrong. How could I not have seen this coming? I also started to read. A lot! If I was going to make money in the stock market, I had to start thinking about where that money would need to come from and where I was in control over what happened. Money, or profit as we call it in trading and investing, basically comes from the difference between the price at which we buy and the one at which we sell. Being profitable over time is about net profit. The sum of all our profits minus the sum of all our losses and costs should, preferably, turn out to be positive. Being net profitable thus can be realized by having a lot of profit and an as small as possible loss and costs. 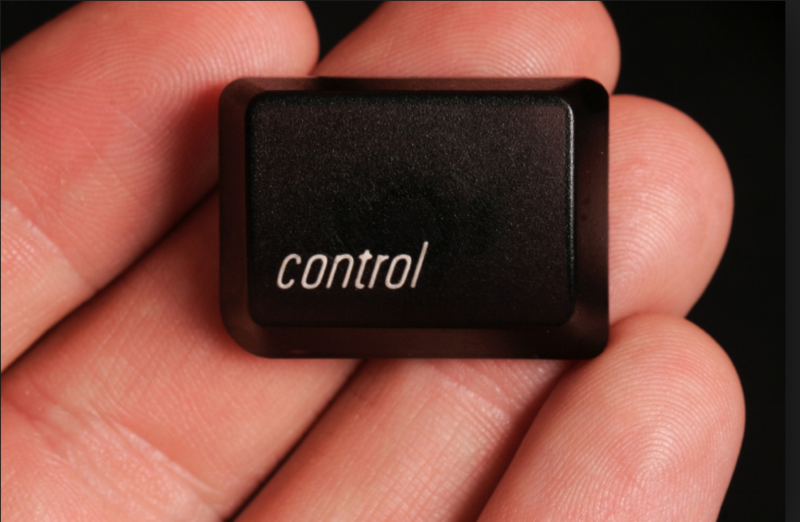 Now, where do we have control? Take loss to begin with. Total loss can be seen as the number of times we lose, multiplied by the loss we take on average. Likewise, our total profit can be looked at as the number of times we win times the average profit on each such occasion. At first glance, most people try to control the number of times they lose. Let’s just never lose. The problem with that approach is that we only have limited control over when or how many times we will lose. Other people’s orders will drive price after we will have bought. And if our freshly owned stock goes down because of what other people do, how can we be in control. Furthermore, only having winners would imply that one can predict the future. Honestly, what are the chances of that. But there’s a lot of control to seize in the magnitude of the average loss. For if we sell every loss at a maximum of, let’s say, minus 5 percent, our average loss can never get larger than minus 5 percent. All we have to do is sell. Before a mistake turns into a problem. Concerning profits, the same can be said. We don’t hold control over the number of profits nor over when they will appear. But if we don’t sell them and instead even buy more of our winners, than our average profit will increase over time. As will our net profit with it. I often hear concerns about not being diversified and increasing risk when buying more and more of the same winners. But that really shouldn’t be an issue, as never in history have we had more tools, like options, to fine-tune risk. So this is merely a technical practicality. But most people focus solely on analysis, selection and timing, to try and aim for tomorrow’s winners and to avoid losers at all costs. But they pay the ultimate price of not being able to be profitable, exactly because of the fact that they worry way too much about having to accept losses. Let’s go back to the idea of selling at a loss. We are evolutionary tuned to avoid losses no matter what. Taking a loss means admitting you’re wrong, materializing the paper loss and selling the hope that things might turn for the better. Most people are trying not to lose, instead of trying to win. While cutting losers and adding to winners is very simple and very effective. But it comes with emotions you won’t like. Up until today I still recognize these emotions popping up. As for my story. I started over with €12.500 I lent, turned it into a handsome€550.000 over de course of 13 years and payed of my debt in the process. Just by sticking to the simple rule I laid out above. I also created this website (ChartMill) together with two fellow traders to share our tools with other people. It’s free to use and I will cover it in more detail in later posts.